Reliant Energy is waiving late fees indefinitely and will be working with its customers on flexible payment terms and extensions to meet their needs, said communications director Pat Hammond. Reliant, which has about 1.8 million customers in Texas , also has suspended its credit and collection activity and has stopped disconnecting customers for non-payment.’ We realize that Hurricane Ike has created a lot of difficult financial hardships for people, and we want to do what we can to work with our customers during this difficult time,’ said Hammond . ‘Wee ask customers to call us and work out a payment with us,’ she said. Green Mountain Energy is waiving late fees for customers who call in and let the company know they were affected by Ike, according to a statement from the company. GreenMountain also is extending its deferred payment plan. CenterPoint Energy’s natural gas customers affected by Ike will not receive late notices and late fees will be waived, said spokeswoman Leticia Lowe. In addition, the utility will also waive security deposits for customers displaced by the storm, she said. Compass Bank has waived access fees to its network of ATMs in Houston and other cities in Texas where it figures Houstonians fleeing the storm may need quick cash, said Thomas Graham, executive vice president of communications in Houston . The bank also is allowing its small business and consumer customers to efer their loan payments, such as car and recreational vehicle loans. The deferral is up to 60 days depending on the customer’s individual circumstances. Customers who need early access to their certificates of deposit can have them without paying early withdrawal fees, he said. And late payments will be forgiven, he said. Graham stressed – as did other service providers the importance of giving notice that a payment will be late. Capital One is working with its customers affected by Ike on a case-by-case basis, said spokeswoman Pam Girardo in McLean , Bathe bank has a hardship policy and some examples of what it can do for its customers include waiving late fees, going-over-credit-limit fees and non-sufficient funds fees, she said. Capital One will also consider reducing a customer’s minimum payments, deferring payments for a limited time, waiving finance charges and waiving accrued interest. Customers need to call and discuss the options, said Girardo. Capital One also waived the ATM fees for all its customers who use a non-Capital One machine and has suspended all of its collection activity in the area. Comerica has waived ATM fees for customers who use non-Comerica machines and has expedited its process to boost credit card limits, according to spokeswoman Pamela Cathion. The bank is also offering to donate up to $100 to a charity or community relief organization designated by a new customer who opens a bank account > with at least $2,500. Discover makes special payment considerations on a case-by-case basis to cardholders affected by a natural disaster, said spokesman Jon Drummond. Those provisions include, but are not limited to, allowing them to delay payments, and waving minimum payments, late fees and other charges for specific amounts of time depending on a customer’s need. T-Mobile is topping off pre-paid cell phones that were running low at no charge to make sure people don’t run out of service, and it has suspended collections calls in Houston and Galveston. Sprint is waiving roaming fees, call-forwarding, late fees and overage charges for customers who use more minutes or text messages than they’re allowed between Sept. 9 and Oct. 11, said spokeswoman Kristin Wallace. The company is also offering free call-forwarding service and Sprint has suspended collections calls and service disconnections. AT&T has suspended all disconnections and collection activities. The company is providing free local and long-distance calling in all of its retail stores, and is offering free Wi-Fi service to anyone at all area Barnes and Noble locations, said spokesman Dan Feldstein. AT&T will work with customers on their billing on a case-by-case basis. AT&T also offers its customers rollover minutes, allowing them to absorb a month in which their usage is heavier than normal. Verizon Wireless is giving one month of free service in the 409 area code and has suspended collections calls in the Greater Houston area, said spokeswoman Gretchen LeJeune. Verizon which provides landline phone service in several cities around GalvestonBay , has suspended collections calls and disconnections, said spokesman Lee Gierczynski. Comcast has suspended disconnections and collections, said spokesman Ray Purser. Time Warner Cable, which provides cable service for Beaumont and parts of Southeast Texas , has credited customers’ accounts back to Sept. 12 and will extend credits until service is restored, said spokesman Gary Underwood. The company also is not disconnecting customers or making collections calls. Allstate is offering deferred billing options, according to spokeswoman Kristen Beaman. The company will send affected customers a letter, but those who have been relocated can call their agent or 800-547-8676. USAA will waive late fees if customers are a few days behind, according to spokesman Justin Schmitt. The company, which also has a bank and offers financial services, also will offer fixed-rate new vehicle auto loans as low as 5.39 percent for people who lost cars in floodwaters. In addition, it will waive insufficient funds fees on checking and savings accounts. Comcast customers whose service was interrupted due to damage caused by Hurricane Ike will receive credits, the company said Tuesday. About 48 percent of customers are still without service, according to the cable company. Most of the remaining outages are due to the loss of electrical power at Comcast’s neighborhood nodes or severed lines, it said. Comcast said 500 cable technicians from around the country have joined its 2,700 local employees to help restore service to customers in the Greater Texas Gulf Coast region. To make sure they receive credit for interrupted service, Comcast customers should call 1-800-COMCAST or click on the Contact Us link on http://www.comcast.com/. Hurricane Ike Tax Relief for those in need! WASHINGTON (Internal Revenue Service) – Texas taxpayers who were adversely affected by Hurricane Ike qualify for tax relief from the Internal Revenue Service, including the postponement of tax filing and payment deadlines until Jan. 5, 2009. 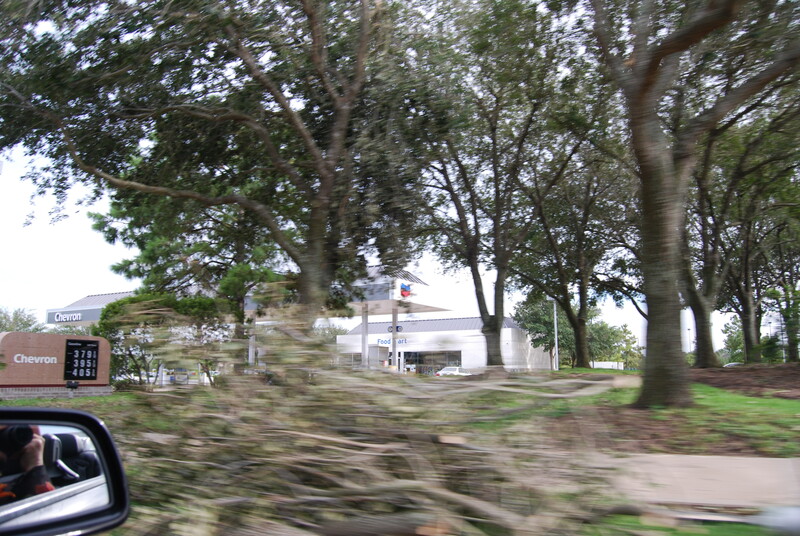 The following counties were declared disaster areas following the hurricane and qualify for assistance: Angelina, Austin, Brazoria, Chambers, Cherokee, Fort Bend, Galveston, Grimes, Hardin, Harris, Houston, Jasper, Jefferson, Liberty, Madison, Matagorda, Montgomery, Nacogdoches, Newton, Orange, Polk, Sabine, San Augustine, San Jacinto, Trinity, Tyler, Walker, Waller and Washington. The relief postpones until Jan. 5, 2009, certain deadlines for taxpayers who reside or have a business in the disaster area. The postponement applies to return filing, tax payment and certain other time-sensitive acts due on or after Sept. 7, 2008, and before Jan. 5, 2009, including individual estimated tax returns and corporate tax returns that were due Sept. 15, and extended individual returns due Oct. 15. Go to www.irs.gov for more information about the extensions and if this is applies to your area. Also, your CPA will be able to assist with this matter. 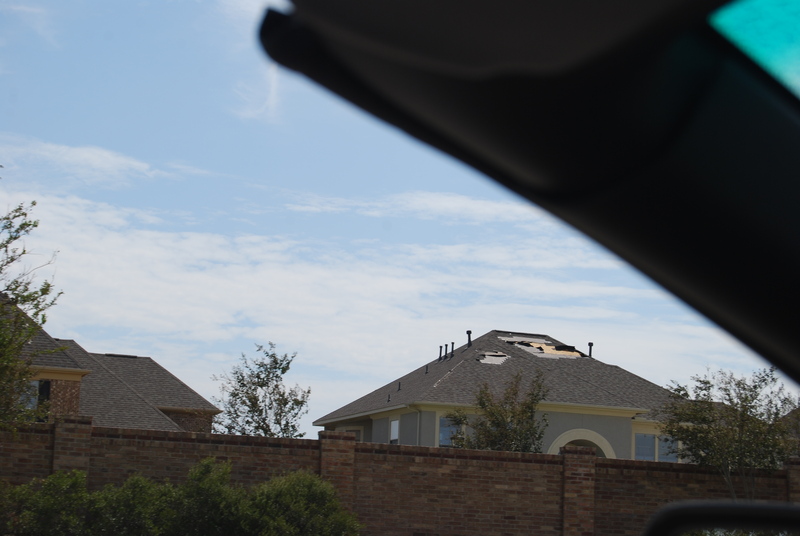 Hurricane Ike – Katy, TX Update – Insurance questions for those with damage! Darrell Kainer Your Farmers Agent. Today I caught up with one of the top insurance agents in the Katy/West Houston Area- Darrell Kainer of The Kainer Insurance Agency. Although he is very busy this week helping those in need, Darrell was kind enough to answer a few questions that some of you may have about damage to your property caused by Hurricane Ike. Q. If I have damage to my roof and water has penetrated into my home, what do I do first? A. You can make whatever temporary repairs that are necessary to prevent further loss to your property. If you can find someone to do a temporary cover up to your roof please, do so. If you have wet carpet that appears ruined, you can remove it but remember to keep a sample for the adjusters. It is very important to document any work that you do. Take as many photos as you can. In order for interior damage to be covered by your insurance, the wind must first cause an opening in the structure that lets the water in. Wind-driven rain under the shingles or around a window may not be covered. Whatever you pay for temporary repairs should be made a part of your claim. Q. 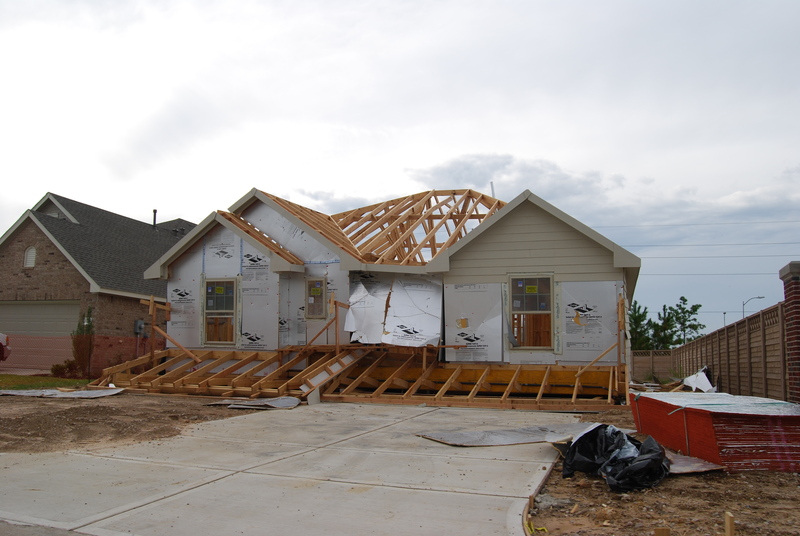 Do I wait until the adjuster comes before making any repairs to my property? Q. Are the costs for repairs that are not covered by insurance deductible on my taxes? A. You should be able to deduct losses not reimbursed to you, but you should consult your accountant. Q. How can I be better prepared next time? A. There is not a great deal you can do to prevent this type of damage. Make sure you remove any small items from the yard and patio to limit the flying objects. You can board up your windows but it appears that most of the damage came from the roof leaks. If your roof is old, replace it. Don’t wait for a storm to cause sever damage to your structure. Q. What does my regular policy not cover in a storm like Ike? A. Flood damage is never covered by a regular homeowners policy. Your insurance professional can sell you a flood policy through FEMA. If you are not in a flood zone the cost anywhere from $120 to $348 depending on the amount of coverage. As stated above, wind-driven rain is not covered as well. Q. What does flood insurance not cover in a storm like Ike? A. A flood policy covers damage from rising water only. No wind damage. If any of you have specific questions you would like to ask Darrell, please feel free to post them here or to go to his web site directly click here Kainer Insurance Agency . Thank you, Darrell, for taking time to inform those of us needing your expertise. Things are certainly improving in the Katy Area today. Our power in Grand Lakes was restored just minutes ago so if any of you are staying with friends, I would call your neighbors to see if you are back on the grid. We are located near the Arbor Lake, North of Fry and East of Peek. It was a welcome sight to see everything in the house come to life. However, there are still parts of our area without power but hopefully that will be corrected in the days to come. It is my understanding there is no school for Katy kids tomorrow but I will clarify that further later. If you have areas that still need power, please let me know and perhaps we can get together and implore Centerpoint to get Katy powered up. This morning, Grand Lakes Presbyterian Church help a breakfast for residents without power. That was a very special thing to do and much appreciated by those of us eating breakfast bars and warm bottled water. If you need help finding someone, let me know and I will see what we can do for you. I wish everyone a quick return to “normal” life and am praying for those that have lost more than just electricity. Take care. Here we are now two days past the storm that has so devastated the Houston/Galveston areas. I am writing from Katy, TX, a sprawling suburb located 20 or so miles west of the city center. We have fared fairly well as Ike passed, leaving downed trees, missing shingles, torn fences and more important, lack of electricity in its path. There are areas north of I-10 that have suffered worse that those South of 1-10, but the damage everywhere is very hit and miss. You can drive down one street and see nothing out of place while two blocks over, there are missing patches of roofing and debris everywhere the eye can see. So it is very hard to report exactly how each area has come through the storm. I appreciate any and all reports coming in from areas and reporting on damage and power restoration. Centerpoint is suggesting that it may take up to 4 weeks to restore all power but Mayor White is working hard to get that revised. Although I do not mind roughing it these past few days, that will be a bit much and I will be seeking refuge among my friends fortunate to be in the right power grid. At least a cool front has moved in and tonight will be pleasant – for those of us using mother nature as our air conditioner. It is my understanding that FEMA has been mobilized to the coastal areas first to take care of the devastation there and will be working their way to us. I you need assistance, remember to dail 311 (non-emergency) and 911(emergency). Have a cool and comfortable night and I will recap more tonight or tomorrow morning.